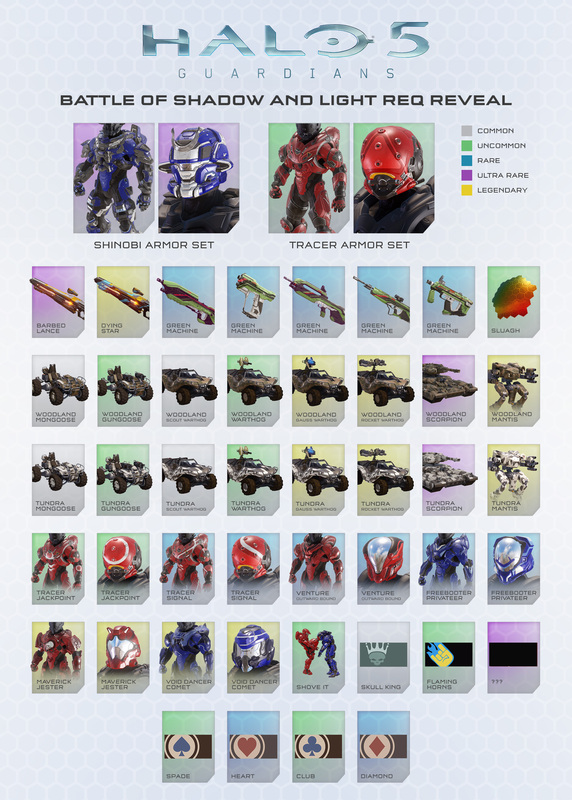 There are tons of new REQs added to this month’s drop, including ones that might give you access to the Ultra Rare Shinobi armor and Legendary Dying Star LightRifle (to name but two). We have Tundra and Woodland-themed vehicle skins, a brutal (and occasionally hilarious) Shove It assassination and dozens more items to unlock, discover and utilize. 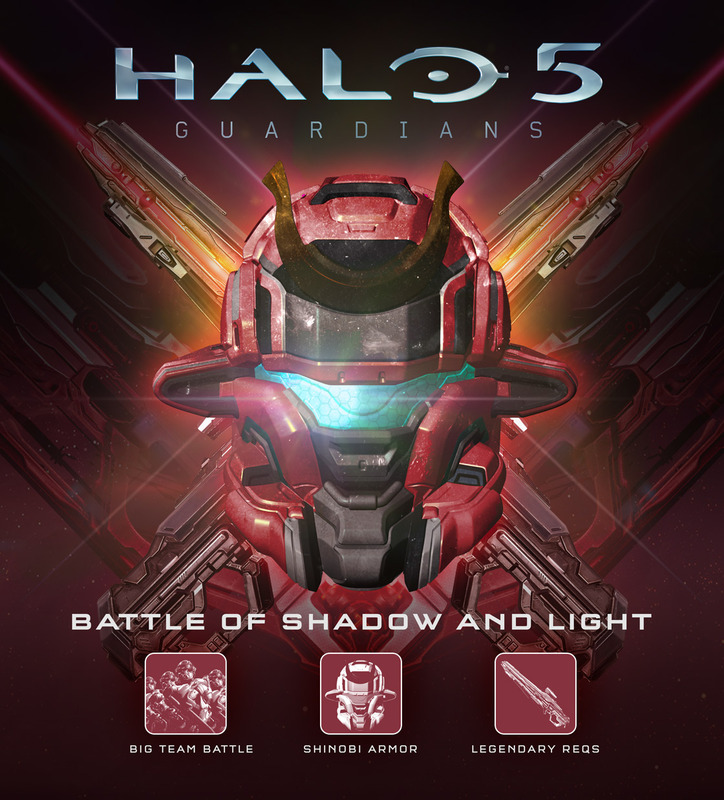 But Big Team Battle is the cherry on top, and you’ll recognize elements and aspects of the first four maps in the mix, but all four have been, in varying ways, significantly adjusted for the new mobility, weapons and features of Halo 5 – and all are available in both Custom Games and Matchmaking, and present just a hint of the content featured in next month’s update. 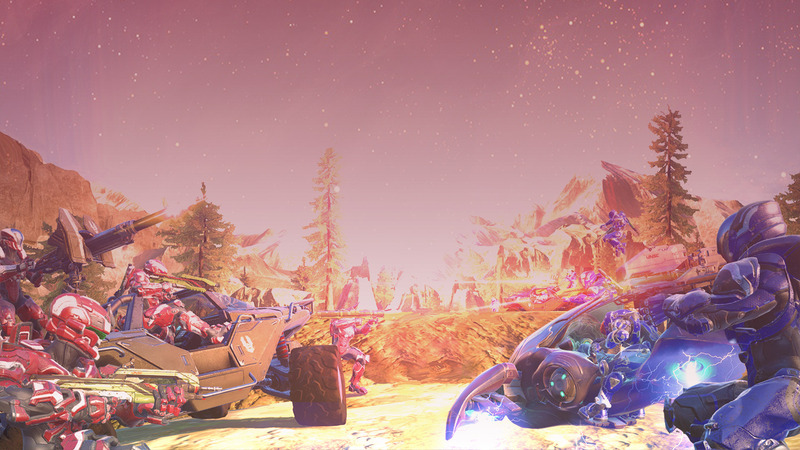 The new 8v8 Big Team Battle playlist is now available. Grab a group of friends, jump in a Warthog, and duke it out on four new Big Team Battle canvases: Deadlock, Basin, Guillotine, and Recurve. Looking for explosive, large-scale Arena action? You’ve found it. Relatively high ground pressure hamstrings the Mantis in some boggy and snowy environments, but its onboard fusion power plant has innumerable uses in remote campaigns. 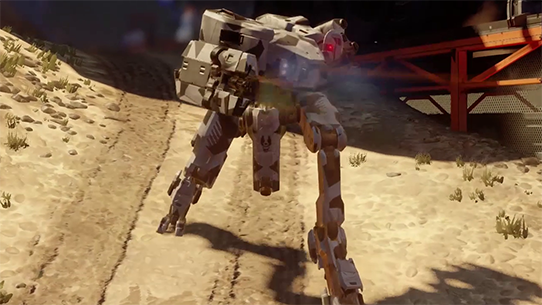 Improved Mantis with extra armor.